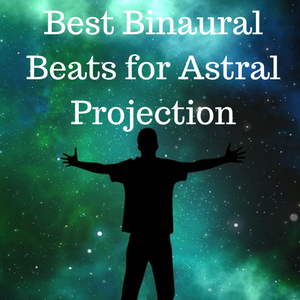 If you are looking for the best binaural beats for astral projection, you are in the right place. I have put some information on this page about why an astral projection binaural beats mp3 could be just the thing that takes you that little bit further and helps you achieve your goal of an out of body experience. 2 Why would you need binaural beats for astral projection ? 3 How do binaural beats help with astral projection? 4 Why not just listen to 4Hz tones? 7 Should you consider free binaural beats for astral projection? 8 Other tips for successful astral projection. Why would you need binaural beats for astral projection ? It can be extremely difficult to achieve an out of body experience (OBE), or an astral projection as it also known. It is an extremely desirable mental state and people can spend many years of their lives studying how to achieve it. Many of those people never manage to achieve it. If you are one of those people who have tried it and find it elusive, you may find that listening to binaural beats for astral projection helps. It may give your practice the boost it needs to achieve your goal. It will also help you make your efforts more enjoyable and take your brain to the correct state with less effort. How do binaural beats help with astral projection? In order to achieve astral projection, you need to deliberately put your brain into an astral projection brainwave state, a deeply meditative, dream-like state. 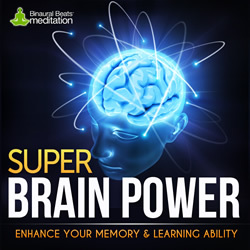 With practice you many eventually teach yourself how to get into that brainwave state on demand but binaural beats can help you get there much easier and more quickly. 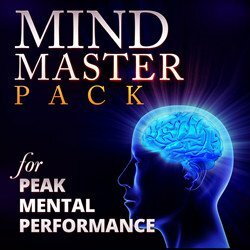 Put simply, if you listen to a binaural beats mp3, it can provide your brain with a way to quickly get into the best frequency required for astral projection. You can find out more about brainwaves here but briefly, you need to understand that your brain is always working. It is made up of billions of brain cells called neurons, these neurons are constantly communicating with each other. This communication occurs electrically and can be recorded with an EEG machine. This activity is recorded in Hertz (Hz). When we are awake and active, our brains typically operate between 13Hz and 40Hz. As we relax and sleep they slow down to 0Hz in very deep sleep when we are unconscious and it is believed cell repair and other important functions occur. To experience an astral projection, the our brains would need to be at 4Hz – 7Hz, a brainwave pattern known as Theta. Theta is the brainwave astral projection is most likely to occur at. Why not just listen to 4Hz tones? We could just listen to audio tones set at 4Hz but the problem is that the human ear cannot hear below 20Hz. But binaural beats can let us hear these astral projection frequencies achieve this delivering a sound at one level to one ear, and a sound at a different level in the other ear. The brain then ‘creates’ a third tone which is pitched at the difference. For example, to achieve 4Hz you might play 104Hz in your left ear and 100Hz in your right. You may have tried to experience out of body projections with the help of regular relaxation and meditation techniques. But you will be pleased and surprised at how much easier it is to get into the right brainwave state for astral projection by using binaural beats. 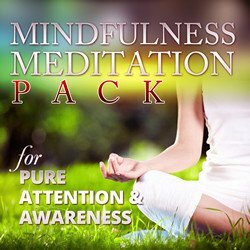 My recommendation for an effective and low cost Astral Projection binaural beats is the current offering from the excellent Binauralbeatsmeditation.com. Their recordings are always excellent quality, sound really good and manage to send me into a meditative state with ease. The Ultimate Astral Projection mp3 gently guides you into the hypnagogic state, which is the transition stage between being awake and being asleep. Once there you will experience sensory events which will lead you to the portal of the astral plane. The track starts off using Alpha waves to match your current mind state then gradually drops to 1 Hz per minute. Your brain will entrain deeper into relaxation with every passing minute and your creative senses will start to be stimulated. The descent settles at 6.3 Hz, a Theta brainwave state associated with Astral projection. After about 8-12 minutes, your mind and body will teeter on the edge of sleep at the hypnagogic state. But you should not let your brain fall asleep. Instead follow the images and mental photography you are seeing. With practice, your ability to stimulate and use your third eye will improve. Your body will fall asleep but your mind will continue to follow the images. At some point a portal will open and you will be able to astral project. The track comes in a 30 minute and a 60 minute version and features the sounds of mystical pads, detuned bells and other esoteric effects. It also comes with a 6 step astral projection guide book to give you the conceptual information you need to achieve astral travel. 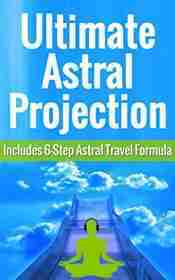 Priced at under $10 and with a 7 day money back guarantee, it is well worth a try if you want to learn how to project astrally. Click here to find out more about the best binaural beats for astral projection. A second recommendation for the best binaural beats for astral projection is this low cost audio from a trusted company called Ennora. This Astral Projection binaural beats mp3 has been produced with precise binaural beats built into it. It is designed to bring about deep relaxation whilst at the same time stimulationg the brainwaves that you experience during REM sleep. The producers of this audio claim that this dual aspect will improve your ability to open your third eye which will allow you to enter the astral plane. They recommend you practice first thing in the morning as soon as you wake up. It is at that time that your body is completely relaxed and you have left behind any stresses and worries from the previous day. You should use headphones and let the hypnotic nature of the music take you back to a dreamy state. As you listen to the music, dwell on the thought that you are leaving your physical body and entering your astral body. They say that when you are learning the process, you may just fall back to sleep! But if you stick at it you will learn to stay aware as your body falls asleep. When this happens, your third eye will open and you will see an opportunity to travel to the astral plane. It is fundamental that you believe projecting your awareness beyond your physical body is possible in the first place. Then, with that belief firmly in place, it takes time and effort to master the technique. But if you really want to astrally project, this binaural beats meditation will give you a method to open the gateway. Ennora itself is the brainchild of two men with a sound engineering background and a passion for binaural beats and brainwave entrainment. Their goal since 2009 has been to produce high quality audio brainwave entrainment to help people improve their lives. You can read about their binaural beats recordings here. If you want to try them out, they offer a Recharge and refresh sample here and Perfect Sleep and Deep Concentration samples here. They are so confident in their products that also offer a 60 day refund policy. Try the audios and if you are not happy for any reason within 60 days, just let them know and they will give you a complete refund. They also offer excellent customer support if you have any questions about the product or your experience. And at such low prices, you literally can’t lose. If you plan to use binaural beats for astral projection, it would make sense to make sure you are well versed in the process before you start. Read up on it and make sure you understand the steps to take to give yourself the best chance of success. You can’t just relax your body and hope it works – you need to prepare. Many of those who do get to experience it will have spent years studying it and are extremely proficient at meditation. You will have an edge to your practice by using binaural beats but you need to fully understand the concepts of astral projection, what you can get out of it and what to expect during a session. You may want to become expert at meditation before you try astral projection. Meditation and relaxation greatly assist your ability to travel in the astral plane so being able to reach deep levels of relaxation quickly and easily will help you a lot. 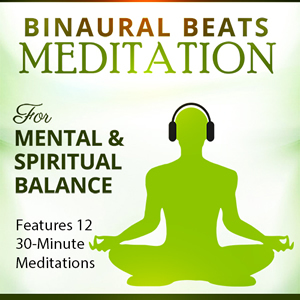 By the way, you can use binaural beats for meditation too. Read my review of the excellent Zen12 meditation program here. Should you consider free binaural beats for astral projection? If you really don’t want to pay for professionally produced audio files, there are many sites on the internet that can provide free binaural beats for astral projection. There are many on Youtube alone. You can try them to see what you think of them. But you need to consider that you have no idea who produced the audio, or how they produced it. You have no real proof of its effectiveness. But when you consider the very low cost of the Ennora product and the 60 day trial period, it makes sense to try them out. You have nothing to lose. Other tips for successful astral projection. Begin your astral projection by imagining your mind separating from your physical body. To end the session, just think about following the cord back to your body or open your eyes. Taking a trip to the astral plane is said to be an amazing experience for those who achieve it. If you use binaural beats you can improve your chances of success in astral projection. You lead your body to a state of deep relaxation but you remain aware of what is going on and your travels and you remember the experience afterwards. But please note that binaural beats can be harmful to certain people. They shouldn’t be used if you need to be fully aware of your surroundings, such as when driving a car or operating machinery. Read my article here on who shouldn’t use binaural beats and always read any guidelines the producer of the audio gives you. I hope you enjoyed my thoughts on the best binaural beats for astral projection – leave a comment if you did – I’d love to hear from you. 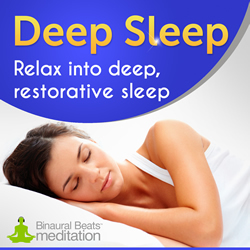 Why not use Binaural Beats to Sleep? Quoted from your post above – the above is wrong information. Delta is 4Hz and below. 6-7Hz are in Theta range. You are quite right – I have mistyped the state you are in at 4Hz to 7Hz. I will correct it. Thanks for your input.